Ryan Early. Journal photos by Lee Walls. Vestavia Hills clinched the Class 7A, Area 6 championship Saturday by defeating Hewitt-Trussville 2-0. 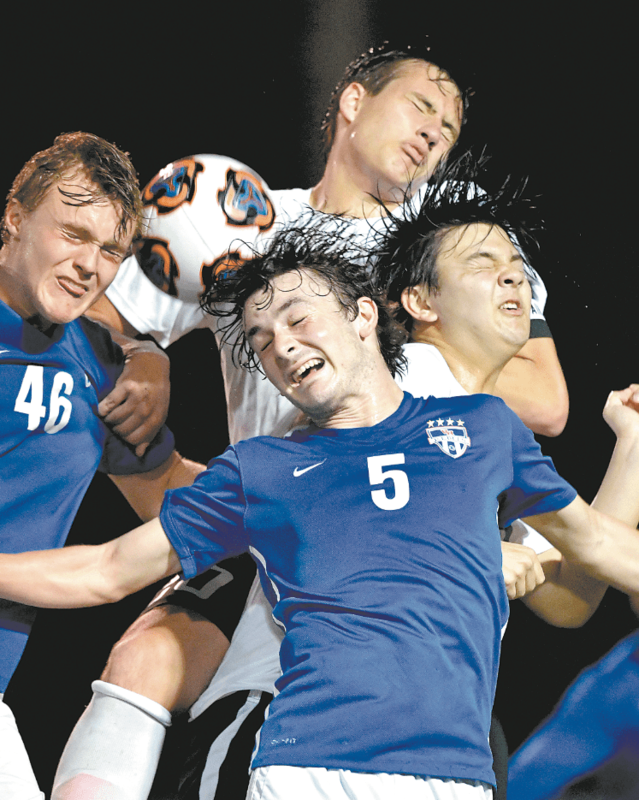 It capped off a thrilling week of area soccer that also saw the Rebels win at Spain Park 2-0, then win at Mountain Brook on penalty kicks after two overtimes weren’t enough to determine a winner. 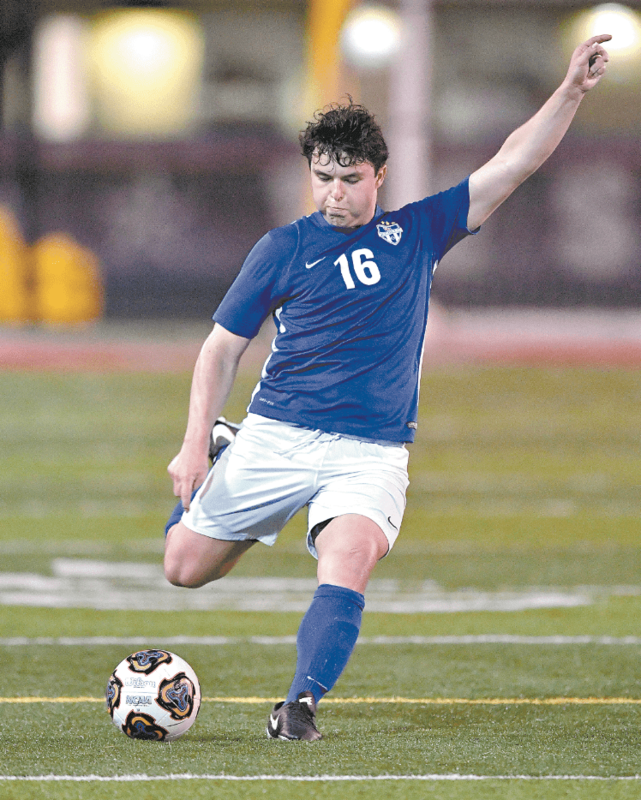 The Rebels played most of the second half of that contest down a man after junior Andrew Tunnell received a red card at the 6:54 mark of the second half. Vestavia’s Andrew Tunnell (46) and Brody Arrington (5) battle for the ball against Mountain Brook. It’ll be much to come down from. After their most action-packed week of the season, the Rebels must now be a little patient before they set their eyes on the AHSAA playoffs. Sub-State is nearly two weeks away, while the state tournament takes place May 9-11. The Rebels were set to host Collierville (Tennessee) on Tuesday and Christian Brothers (Tennessee) on Wednesday, and they’ll host Cullman on April 22 before they begin their quest to avenge their 2-1 loss to Auburn High School in last year’s championship game. They’ll face the winner of Area 5 at Sub-State on April 29 or 30. At press time, Oak Mountain was a half-game ahead of Hoover in that area, with the former sitting at 4-1 and the latter sitting at 3-1. They each had one remaining area game against Thompson; Oak Mountain travels to Alabaster on Thursday, while Hoover travels there April 23. Vestavia Hills now awaits those results to see how their postseason will shape up.